Come join us as Diane Wright shares some of the history and controversy of Lourdes, the small town in France where, in 1858, a teenage girl claimed to see the Virgin Mary. For over a hundred years, pilgrims have flocked to Lourdes to seek healing from the waters of the spring. Service leader: Patty Klingenberg. 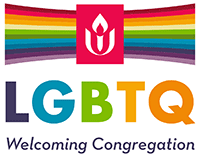 Second Sunday Collection will benefit Black Lives of Unitarian Universalism (BLUU).